Get Marvel Universe Live! tickets to see your favorite superhero characters come to life! Over 25 superheroes are on a mission to defeat Loki on his quest to take the Wand of Watoomb. 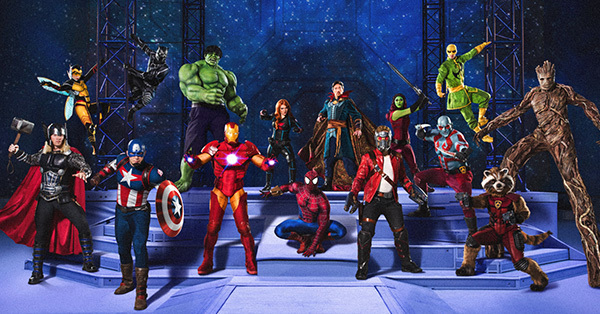 Get Marvel Universe Live! tickets at Ticket Galaxy and see the battles unfold live! Marvel Universe Live! takes the superhero characters that fans have fallen in love with and brought them to the stage for an in-person mission. Spider-Man, Iron Man, Captain America, Thor, Black Panther, Hulk, Black Widow, and the Guardians of the Galaxy are just some of the characters who make an appearance. They are on a mission to stop Loki from completing his quest to take control of the Wand of Watoomb. Who will succeed? Get Marvel Universe Live! tickets from Ticket Galaxy, and see the action live!